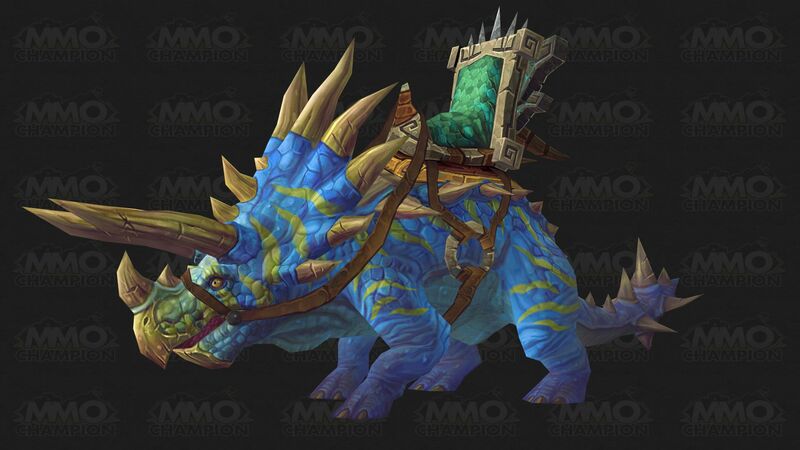 Sounds like us Evil RPer's may finally have a new Mount. Might be a triceratops, if the icon is accurate. Picture from MMO-C. Spotted this datamined achievement that mentions Horridon. Boss drop? 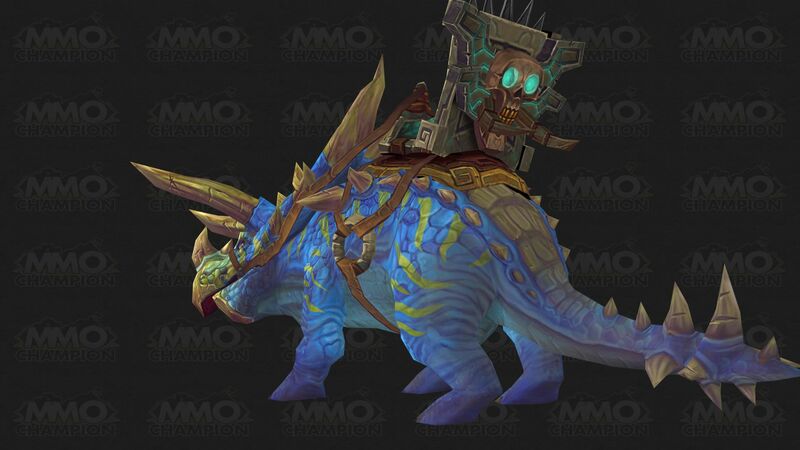 This mount will probably drop from the new raid boss added in 5.2, Horridon. The drop chances will probably be quite low. Front and back of this mount. Pics are datamined so final version might look different but atm they do match the icon. It just dropped in one of our 25 man normal mode raids and I won it. Invoque et renvoie un rejeton d’Horridon, qui peut servir de monture. "Lorsque vous voyez un ouragan à l’horizon, vous vous mettez à l’abri. Horridon, lui, affronterait la tempête. Et gagnerait."